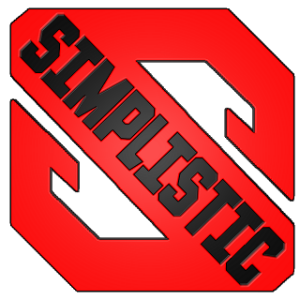 We talked to Simplistic's captain, Speedweaponry, about their time in the WGLNA. Currently they are in 3rd place in the Bronze League. Discuss it here..
We were close to making it to Vegas too. I had a historic run in a full health t69 and died to a one shot IS3 because I dumped my clip into the is3 and didn’t know where to pen it. It was such a popular story among players at the time- that was you? Oh boy, yeah, I’ll never forget that. That was a terrible night. We were in the playoffs to win a spot and I think we would’ve had to beat one more team to get to Vegas after that. And I really found out who my friends were when that happened. A couple of the guys were like ‘no problem that happens to everybody’ while a couple of guys just raged at me. And I completely deserved it. Do you still think about it? It keeps me humble. Whenever I get a new guy on my team and he totally screws up, I tell him this story. I mean nothing can ever be that bad, so [I say] don’t feel bad. WGLNA [Gold] Season 2 were fun times. Do you remember Waffelz and his faceoffs?? But once artophwar disappeared we had a hard time winning. We were basically the basement of the Gold League. I was there in the Gold League [for two seasons] back with artophwar and aLarge who were our callers and captain. Then we got relegated to the Silver League. But then artophwar had a small child so he disappeared and we didn’t have a caller. Then maeggurth took over the calling. And there’s always a transition when you get a new caller so we were losing a lot of games. We went from the Gold League down to the Silver League and then Silver League down to the Bronze League. How’s the transition been going from the Silver League to the Bronze League? Well, we were losing in the Silver League too. That’s when maeggurth was calling. He took over during the midseason so it was a rough start for him. But it’s been fun being in the Bronze League because we’re back to our winning ways again. And Bryant is our caller. He’s doing a great job. It’s been a lot of fun. This season has been a lot of fun because we’ve got a good, winning record. It’s a lot more fun to end the night with a win than a loss. You lost 60% of your roster from last season. Where did your new players come from? True, even veracis is new. Well we also play skirmishes almost every week. In fact we’ve won our bracket in the last three skirmishes we’ve been in. And that’s kind of like our farm team. It’s great to bring new guys on the skirmishes and try them out and see if their personalities click, see if they play well in tournament play which isn’t always the same as playing well in random battles. And also see if they work well playing with our set strategies which isn’t only going where you need to go but also being ready to jump at any opportunity that presents itself. So that’s kind of the farm team. If we have a spot open on the main WGLNA team, I’ll look for the guys that have been playing skirmishes with us. Also another big thing is who shows up for battles. That’s half the battle, getting guys together and on at the right time. There’ve been a lot of great players that when it’s time for the tourney, where are they? How much do you rely on your team’s veterans? Dobie has been with the team even longer than I have. Derm, I don’t know exactly when he and Bryant joined. Maybe during the Silver League days. Bryant has been doing a great job of calling. We rely on his calling immensely. He’ll research, watch replays, the twitch replays. We really use those a lot. So we depend on him a huge amount. Dobie is especially good in heavy tanks. I’ve seen him crush in his T32. I’ve seen him use his turret. And then otherwise, just the team as a whole. Making sure everybody shows up. I kind of do that. I have everyone’s email and keep everyone up to date. Okay, we’re playing at this time this week, make sure you’re there. So and so is gonna be gone, so we especially need everyone else to be there- that kind of thing. Are you confident in this current roster? I think we have a great team right now, with some really good players. I think we could go to the Silver League and we could do pretty well. We don’t practice like at all right now. If we did practice we could be dangerous. What were your expectations heading into the season? Well I’m surprised how much easier it is than the Silver League. I thought it would be a little easier. But we went from getting beaten badly to winning pretty easily some of these nights. My goal I think was, after having such a losing season in the Silver League, my goal was to be in the top half of the Bronze League. Considering we had some new guys that had never played [7 versus 7, 42 points] before, just to be in the top half of the Bronze League was the goal. As we got playing and won some matches pretty handily, and with Bryant’s calling, I upgraded my expectations. Now my hope is to move up to the Silver League for next season. What’s been so easy about the Bronze League? Well it’s partly the competition. Like last night, we played two of the top teams in bronze, NUC and CYA, and we got beaten. And a couple of those battles were.. well we had tried to do a map tactic before the battle and one of the guys wasn’t there. So he didn’t know where to go once the battle started and went to the wrong place. And NUC completely took advantage of that and that was the end of that battle. You only need to lose twice and it’s over. So was it the competition? I mean, if we’re all there, and we’ve all seen Bryant’s maptactic and playing on the same page, I think on any given day we can beat the Bronze League teams. But if we’re messing up, then it’s an issue. So I think the difference going from the Silver League to the Bronze League and losing to winning is the easier competition in the Bronze League. In the Silver League, there were a lot of times we were doing what we had planned but were still losing, and that was kind of frustrating. You’re 0 for 2 on Cliff this season but had an opposite experience with Cliff in the Silver League last season. Well, we did rage at the cliff map on team speak after it was over. Whatever team camps the hardest was winning. Because a couple of times, it was like we drove over the middle, into the other team’s camp and they’re just shooting us on all sides and it’s over. So the smart thing to do is just to stay on your side of the map and sit there. Try to light them up a little bit and pick off some hit points. So we were raging at that map being campy and not a good one for us. But I think both NUC and CYA were playing really well so hats off to them. They’ll be in Silver, they were playing well. I guess [last season] we camped Cliff harder. Early in the season you lost a high profile match against Pescadores, another playoff favorite. Pollenz described the carnage for us when his Object 416 hid deep in the forest where a 1390 was able to spot your incoming heavies over extending out of a bowl. Ya sometimes we’ll push in. I mean, we don’t tend to camp a lot. Maybe we should more. Having a 416 which has huge dpm, it can park in the forest and overlook most of the field. If we’re pushing into something like that, I can see how we’ll lose that one. [Prokhorovka] is a much more fluid map compared to cliff. We usually take two or three 1390s, run around very fluid, trying to get some lights and dump into them in one of the bowls or something. But that can backfire on you if they see where you are, if they’re ready for you to dump into that bowl and they got guns trained on you there. The 1390 is a great tank if you’re up close and can unload your clip into somebody. But if you’re running around, your reticle is huge while somebody else can be sitting still killing you and you can’t do anything about it. Of the current playoff teams, you’ve lost 3 rounds and won 2. Do you see Simplistic in next season’s Silver League? Yeah I think our chances are good and we’d like to [be there]. I think that we can hold our own in the playoffs and be one of those top six. What about a return to the Gold League? I’ll be like Chris Christie the Governor, are you running for president- you know, hasn’t made up his mind yet. We’ll take it one step at a time. Let’s try to get back into the Silver League and be competitive first.